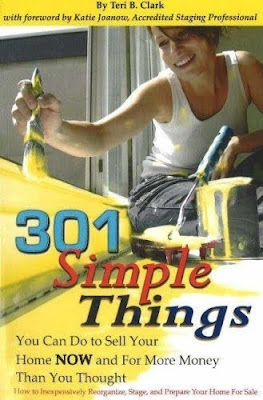 I got this book from the library, it is called "301 Simple Things You Can Do To Sell Your Home Now and for More Money Than You Thought : How to Inexpensively Reorganize, Stage, and Prepare Your Home for Sale." I read this book in one night. 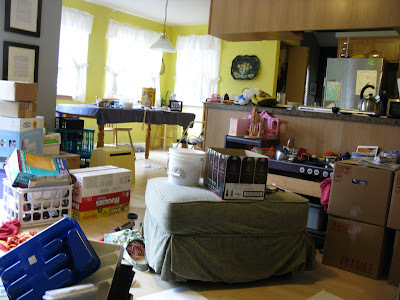 I liked this book, home staging is mostly common sense to me but I did get some pointers. I feel prepared. Except for two points. The first is that this book was published in 2007, before the collapse of the housing market and when houses were selling like iced water bottles at the Fair in August. I am now trying to sell my house in the real world in a recession with unemployment skyrocketing and the Fed in danger of implosion at any moment. I just count my lucky stars that I live in Portland where the decline has been much less drastic than say Phoenix. The second and most important is that this book devotes a mere 9 of 282 pages of the book to living in your home while it is staged and you are trying to sell and there are ZERO words of wisdom for living in your house while it is staged and you are trying to sell with KIDS in a slow market. 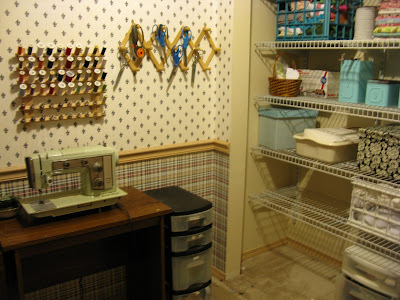 Yes, this is the room formerly known as "Wall to Wall Fabric and Trim." Note the ample storage space. Those are boxes full of the room formerly known as "Wall to Wall Fabric and Trim." Nutmeg has been really trying us lately. She used to go to sleep all by herself in her own bed with no problems and stay there. But lately we have to lie with her for an hour before she will sleep and then woe betide us if she wakes up and find that we have abandoned her. I am the one that puts her to bed and have been getting so frustrated with her because after bedtime is Mommy Time! I am anxious to get to my knitting and my movies and my snacks and chats with Moose. 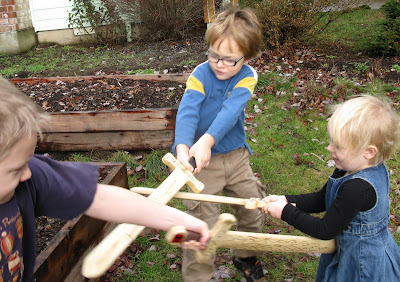 We had been resorting to tactics that go against my core parenting philosophy and it felt bad. The other night it dawned on me, instead of lying there frustrated with her while reading easy fiction or browsing blogs I could use that time to study the scriptures. I have been unsuccessful in finding a time that works for me and that is seriously hampering my goal to rejuvenate my relationship with my Savior. So for the past few night Nutmeg has gone to sleep without tears and have been reading the scriptures pondering and praying. What a blessing! See, it is all how you look at things. This is what has been touching me this week, The Relief Society Declaration. This is often overlooked and forgotten but it is so key to who we as Sisters in Relief Society are. and our lives have meaning, purpose, and direction. to Jesus Christ, our Savior and Exemplar. promptings of the Holy Ghost. I particularly love the lines "Our lives have meaning, purpose and direction" and "Find nobility in motherhood and joy in womanhood." It is that time of year again, the time where I stop cooking meals for my family from lack of interest. All of my meals seem ho-hum and nothing sounds good. We start subsisting on toast and chips and salsa. It has become pretty bleak. Today I managed to rally and prepare dinner. I thought I would share my recipe with you and in return you can share a recipe with me. Here are the criteria It needs to be a recipe that you come back to over and over again, a meal that has become a staple in your meal rotation, it needs to be healthy-ish (whole food not processed junk) it is easy to make and 2/3 of your family will eat it. I am deferring to the realist in me I don't ask for 100% I know that the only meal that makes everyone happy is Pizza. Post the recipe in the comments of this post OR post a link to your post with a recipe on your blog. Samurai Mom's Enchiladas or Almost Everything Came from Trader Joe's Enchiladas. First, cook up the buffalo. I always add dried onions to my meat and then set half of the meat mix aside on a container to use for another day. Second, dump in the refried beans and 1/2 to 1 whole jar of salsa verde. Stir and add olives if desired. Then slap a spoon or two of the filling into a tortilla and roll it up and place it in a 9x11 baking dish. Repeat for until tortillas or filling are used up. Usually this is the right amount to fill all 10 tortillas in the Trader Joes Flour Tortilla package. Pour the enchilada sauce over the enchiladas and sprinkle cheese on top. Bake in a 350 degree oven for 25 min or so. I always put a few enchiladas in a separate dish and bake without cheese for Nutmeg since she can't have cheese. Sometimes her dish is a little dry and I put some salsa verde on top to moisten. 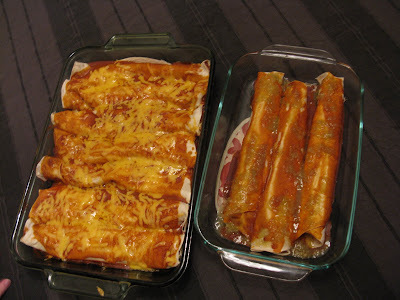 You can also cooka double batch and freeze the filling or the pan of enchiladas. 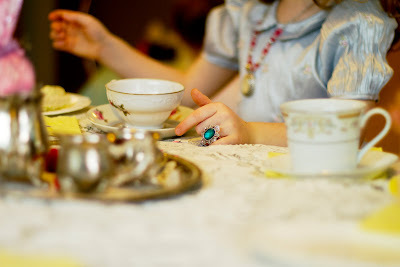 This was going to be a post about Nutmeg's Birthday Tea Party held last weekend, but I think it will turn into a post about how awesome my friend Sarah from Smiling Eyes Photography is and how photography is a talent that I do not have. I mean I try, I really do. On average I take 4-5 pictures of a subject to every one that I post here on the blog. I work hard to get my middling to average photos. But not in this post. Behold the wonder of Sarah and her camera. Her pictures almost make the party look better than it was. Almost because the party was a little piece of heaven. We invited 9 little girls. You know, they say to invite twice as many as you would like because half will not come. 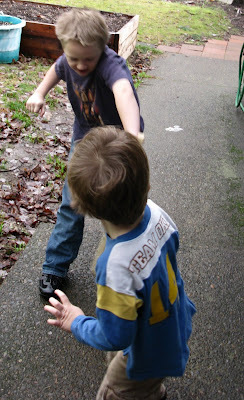 I usually hold to that because the year Camrock turned 4 he had one friend show up to his party, one. I was so glad he was only 4 and probably wouldn't remember it. 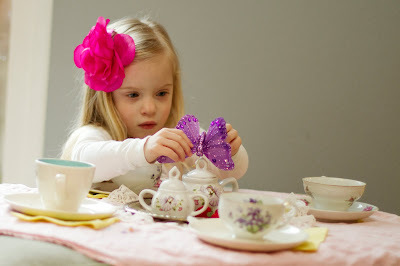 So I aim big now, and this time everyone accepted,I mean what 3 year old would say no to a fancy tea party? That was fine except I didn't have seating for 10 little girls and assorted mommies. Kristen had the brilliant idea to have the kids sit on pillows on the floor around ottomans as tables. It went over marvelously. 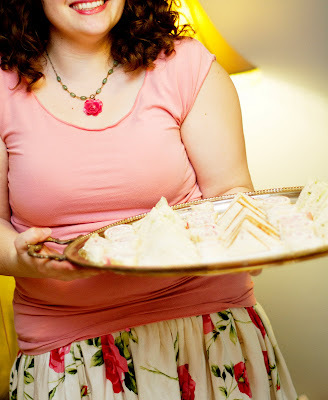 As I was bustling about frosting cupcakes and making tea sandwiches I left myself 30 minutes to dress. I kept thinking in my head that the party started at 1:30 until the first guest arrived at 1 o'clock and then I remembered. 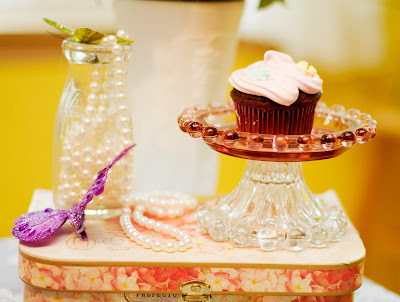 So I dashed upstairs with hardly anytime to be fancy and things were not quite as perfect as I would have liked. Everyone dressed "fancy." I think the girls were all enchanted. 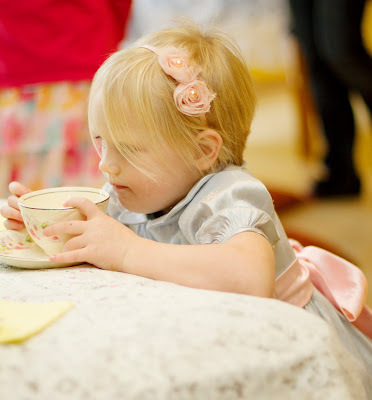 They were so quiet and concentrated on their tea. It was adorable. It was almost as if they were trying to be little ladies. We served herbal peppermint tea, hot cocoa, and juice. 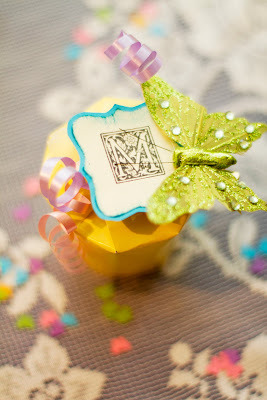 The party favors were little vintage looking pendants hung on black ribbon with a piece of candy, a "Thank You" note and a strip of butterfly stickers in a box made from a paper cup decorated with a monogram and a butterfly. Total cost per fantastic favor approximately $1.50. "The Scott heard round the world" they have called it. I think that is cute as a button and I hope accurate. Regardless I am tickled pink about Scott Brown's win over Martha Coakely for Senator of Massachusetts. I care because Brown's unlikely win in Massachusetts the bluest of the blue states gives me hope. Hope for Oregon, hope for Washington and hope for my Nation. Hope that there are enough people angry enough at Washington to elect real patriots to office this fall against all the odds. Here is one reason I am excited about Scott Brown, in a debate when asked how he could sit in Ted Kennedy's seat and stop health care reform he didn't miss a beat and said "It's not the Kennedy's seat, it's not the Democrats' seat, it's the people's seat." And for the record he isn't against health care reform. He is against useless government bureaucracies taking over our health care system and further bankrupting our country. And we all now that these bills aren't about health care reform. If they were serious about health care reform they would ENCOURAGE health savings accounts, have some sort of tort reform and allow people to buy insurance from companies in other states, and sever insurance from employers, at the very LEAST. But the current bills do none of those things. "In dealing with terrorists, our tax dollars should pay for weapons to stop them, not lawyers to defend them. " But anyway, on to the point of this post. 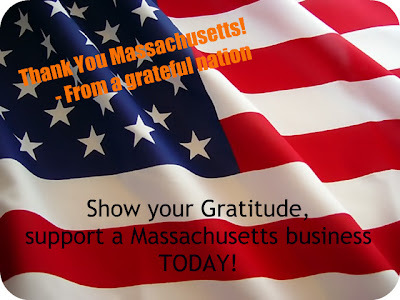 What if we all were to say "Thank you" to Massachusetts by supporting a Massachusetts business this week? Buy something online or in person if you can and tell the business why you are patronizing them. Tell them "I am buying something from you as my way of saying "Thank You Massachusetts for electing Scott Brown!'" Even if the proprietor didn't vote or supported Coakely you can say "See, Scott Brown is good for Massachusetts already!" I don't know anyone in Massachusetts, I have never been to Massachusetts. I hope one day I will be able to visit but it is 3,100 miles to Boston so I may not ever realize that dream. But I can search online and buy something from Massachusetts. The first Google search entry for "Massachusetts Business" is a pastry shop that ships so that is always good and you can see the results of an Etsy search for Massachusetts here! Join me and the rest of the nation in saying "Thanks Massachusetts!" 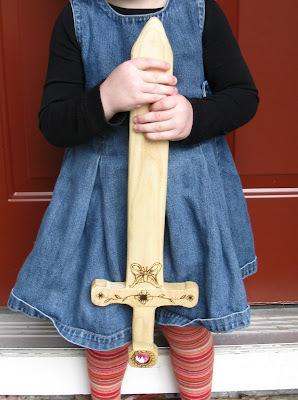 Yet another fairy tale toy, this one for Nutmeg's birthday. The tower is made of a mailing tube, e600, scrapbook paper and Mod Podge. The roof is tape glue, staples, a cereal box and paint. 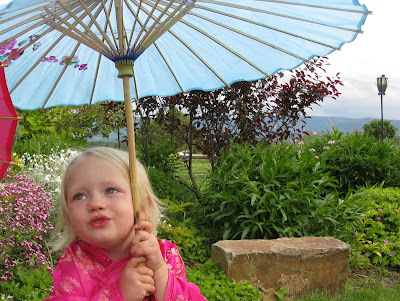 The dolls are wooden dolls, pipe cleaners, wood beads, scraps of fabric and embroidery floss. Grandma Whitehouse painted the faces. 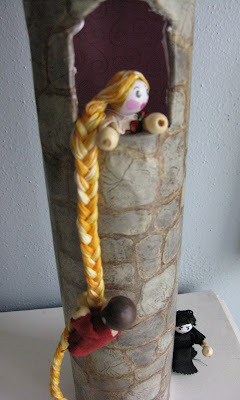 The kids especially like the fact that the prince can "climb" Rapunzel's hair. 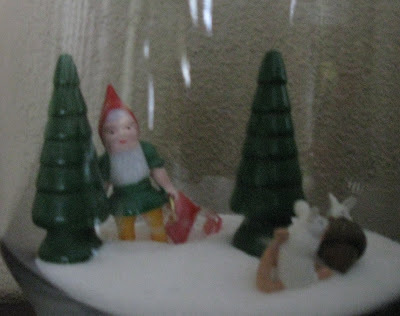 I saw this post over at Sugar City Journal and I loved the idea and stored it away in my mind never thinking I would be able to find little dwarfs, but I did (not a week later) at The Decorette Shop. I only had organic sugar which is expensive and NOT white but I did have a whole lot of cheap salt for cleaning purposes so I cracked them all open and poured salt into every glass vessel I could find. We had so much fun setting them up we just couldn't stop with one. Mining for beads from my jewelry making supplies. The garden of Lego plants. Stumbling upon some freakishly large rats. And a ninja sneaking up on a bear. 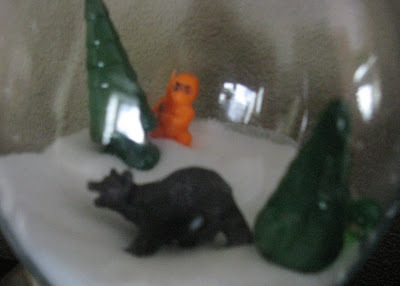 Originally I had the bear sneaking up on the ninja. I thought it was hilarious. No one else seemed to get it and they insisted that they swap positions. Boring. 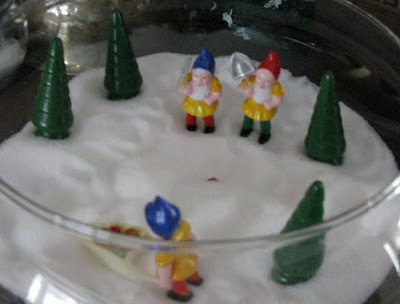 This was a great project to fill the post Christmas Decoration void and because I use the salt for laundry not eating I can still use it which I would not have been able to do with sugar. Rebecca by Daphne DuMaurier on the shelf. She started raving about it and insisted that I read it and bought me a copy. It has been love ever since. That evening one of my fellow interpers was helping me edit and we suddenly realized that my problem was that I was narrating a man's voice and it wasn't very believable coming out of a cute, short, curly haired brunette. So we switched the roles. We made Maxim's part Mrs. deWinter's and Mrs deWinter's part Maxim's, just changed the voices from male to female and female to male. 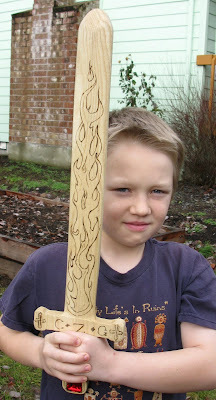 I rocked it. I started getting first and second place. The problem was what I did was against the rules. I didn't know it was against the rules but I had a feeling it wasn't good form. Turned out it was totally against the rules and I was disqualified which I didn't contest because I really didn't mean to break the rules and felt pretty bad about it. But not about acing those rounds! Now, enough about my relationship with Rebecca and some facts about the film. This was Alfred Hitchcock's first film made in America. It also happened to win the Academy Award for Best Picture and Best Black and White Cinematography. Hello Hollywood! Laurence Olivier wanted Vivien Leigh to play the starring role and she was hot stuff having just come off of Gone with The Wind and being Olivier's new flame and soon to be wife. I have seen her screen test - she is a lovely actress and I adore her but she would have been a disaster as the second Mrs deWinter. Now if there was a Rebecca role in the film Vivien Leigh would have been perfect for THAT role. This film is riveting. 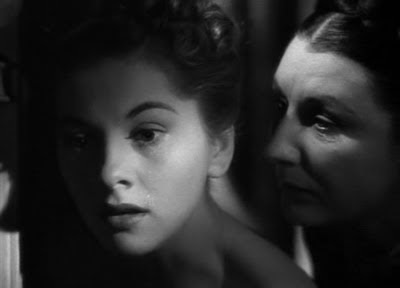 Judith Anderson's Danvers is creepy and almost a bit sympathetic. George Sanders' Jack Favell is likable but you know he is a cad. Which is fitting considering this post I read today. Joan Fontaine is perfect for this film meek and quiet and you find yourself yelling "Grow a spine already!" and then she does. Laurence Olivier's Maxim is so likable it's no wonder you end up rooting for him. The film is very true to the book until it comes to the climax which brings me back to that little story I told at the beginning of this post, the one about me changing up the parts for the win. Well, the censors wouldn't Maxim get away with what he gets away with in the book so they let him get away with something else in the film. You feel relieved that he gets away with it but you don't find yourself questioning your moral judgement like in the book. Rebecca is one of my all time favorite films. It is a classic. Watch it, love it, obsess over it. 7 out of 7 thimbles! 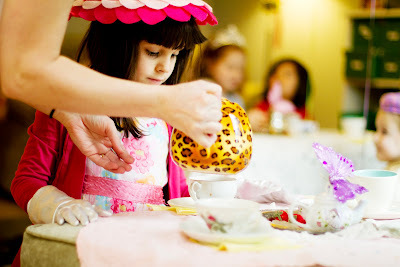 I have a problem, Saturday is Nutmeg's Birthday Tea Party and I've got nothing. Well, okay, I have a loose menu and a bunch of butterflies for decorations and will be buying balloons. 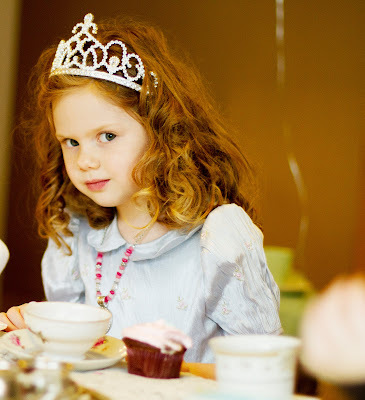 But I don't know where the gaggle of little girls will sit and partake of their tea nor do I know how I will be keeping them entertained and I still don't have a clearly defined theme or decorating plan. Poor Nutmeg will probably never get a birthday party ON her actual birthday due to post holiday fatigue and this is her first one. 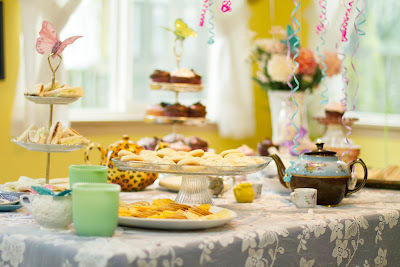 I wouldn't be so stressed out about it if it weren't for my stellar party planning record. I have pulled off some great parties in my time. There was Liz's 21st Birthday Root Beer Kegger, and the First Annual Ghastly Gala, Commander C's Fishy First Birthday Party, and this spring there was the Spy Party. I have standards to live up to. 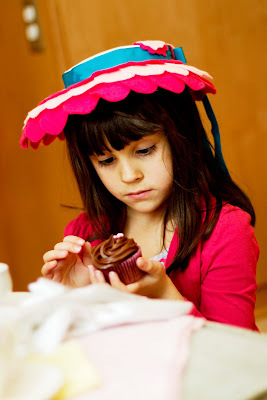 How can I let my little girl down for her first and my first girl party? She deserves my best effort, if only I could find it. The shopping at Michael's was a little more expensive this year as coupons were scarce. Sure, you can use Joann coupons but sometimes you need your Joann coupons for fabric. 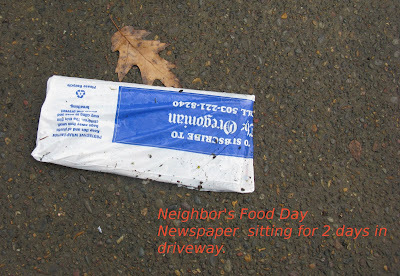 I couldn't figure out why everyone in the neighborhood was getting the Food Day newspaper in their driveway and I wasn't. I even thought about stealing the one in front of the single-guy-who-never-takes-out-the-trash-and-lives-like-a-hermit's house as I am sure he doesn't read the paper or need the coupons but stealing is stealing even if they don't want it. The Food Day newspaper as everyone in town knows has the valuable Michael's coupon in it. So finally after months of suffering I mentioned something about the Food Day newspaper and the coupons included while setting the table "Oh," Moose said " I happened to catch the guy as he was delivering one day and asked him to stop bringing them. I was tired of picking them up." He asked the newspaper guy to stop bringing me my Michael's coupons. He asked the newspaper guy to stop bringing me my Michael's coupons!!! If you ever have spare Michael's coupons I will gratefully accept them. I need to re-develop my relationship with Christ. I played with several words like, pray, faith, spirit but none of them described the whole deal. I have been inspired by this post. "A single word can be a powerful thing. It can be the ripple in the pond that changes everything. It can be sharp and biting or rich and soft and slow." I think I too will choose a word for the year. A word to see, to meditate on, to become part of me. I have been thinking about what my word will be but I can't quite decide. I am going to think on it. In the meantime YOU think about it and post your word for the year in the here in the comments of this post. Pin-up Artist Phil Gayley tries to reunite with his ex-wife much to the delight of his precocious and hilarious 8 year old daughter "Flip." I laughed out loud for this entire film. I really loved it. My favorite part is at the beginning when Flip tells her father about her pen pal "Wickie" who turns out to be a Marine. She has been writing to him with the help of a booklet entitled "How to Write Letters to Soldiers." Oh how I wish I had a photo of that booklet! Flip has been signing her letters "Smoochie" and sent a picture of her mother when she modeled for her dad...as a pin up. Eleanor Parker is the very lovely Baroness Scrader from the Sound of Music. 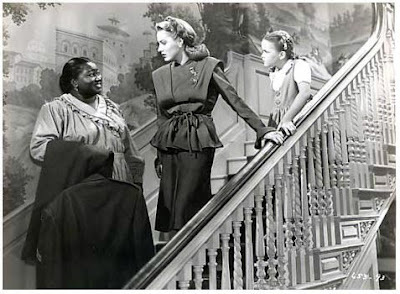 Hattie McDaniel and Forrest Tucker co-star. I can't find it on Netflix but I saw it on TCM. May the force be with you if you find it and try to capture a screen image of that booklet for me! 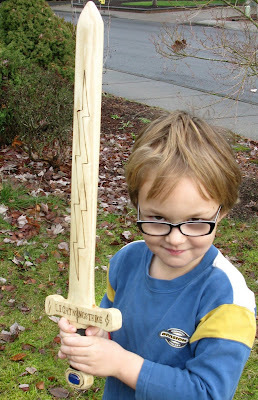 and a "princess" sword for Nutmeg. 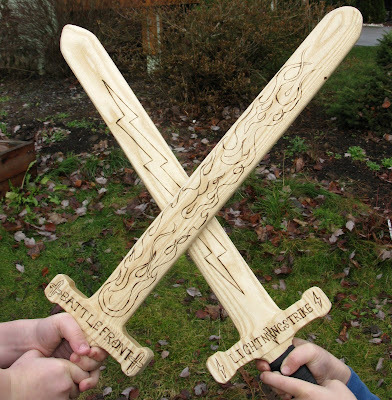 Once they arrived I purchased jewels and leather to embellish the hilts And my dad spent hours one night before Christmas trying to make holes to set the jewels into (they are made of HARD wood.) 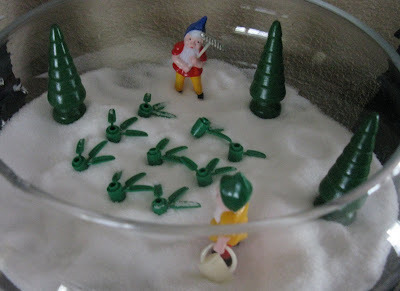 He did a great job and they looked stunning underneath the tree on Christmas Eve. They have been banished as outside toys already as they are very heavy. They will not be wearing out or breaking before my grandchildren are done with them. 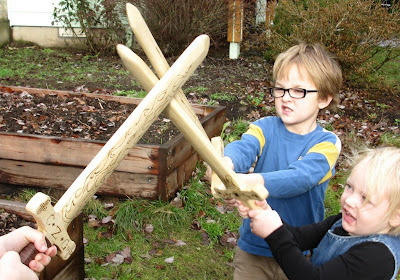 The children will learn to be quick and I will have to remake straps for their shields. "I have a secret." I confessed as we lay in bed neither of us sleeping at 1:30 am. "I think I want to try sleeping on my back." I admitted gravely. He a dyed in the wool back sleeper laughed heartily at me but still, he understood how I felt like traitor to the Confederacy of Side and Tummy Sleepers. We lay there giggling at the absurdity of the situation and yet I spent the rest of the night sleeping on my side not yet ready to commit the final act of treachery. There is a nice soft spoken chiropractor that runs ads on the radio all about the dangers of stomach sleeping and while I didn't dare listen too hard to the ills of the most comfortable way to sleep, inside there was a little whisper "He's probably right you know." So the other night I decided to try it. I tried to sleep on my back. How can anyone possibly sleep like that? So, to my fellow side and tummy sleepers please forgive my disloyalty. I won't try it again neck pain or no. The problem with being crafty and being crafty combined with "the internets" is that there are SO many things to make and so very little time. 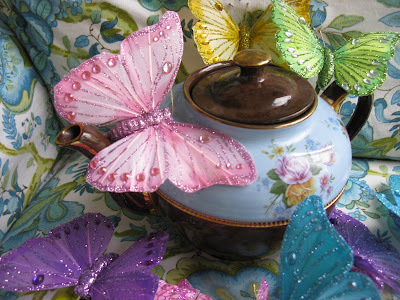 Hitherto OnePrettyThing has been burying me in fantastic ideas. How can one keep track of it all.? 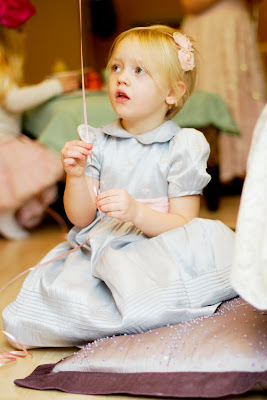 When the big birthday party comes up I might forget or worse remember but not be able to find the really cool invitations. Well fret no more. Say "Goodbye" to never ending scraps of paper with lists of "TO MAKE" scrawled upon them. Say "Hello" to wists.com. It is like an online notebook of things you like. 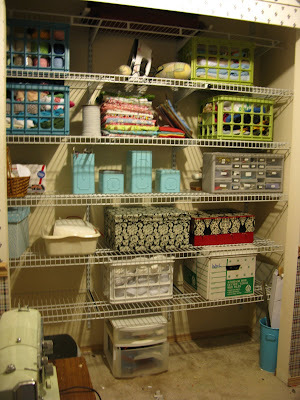 I am using it as I use my Ravelry queue making lists of things that I want to make or buy. It looks like you can have "wist friends" and see one anothers wists. Pretty cool. Today my baby is four years old. I can't talk about it.